Follow Fiona Byrne on Twitter. Follow Agyness Deyn on Twitter. 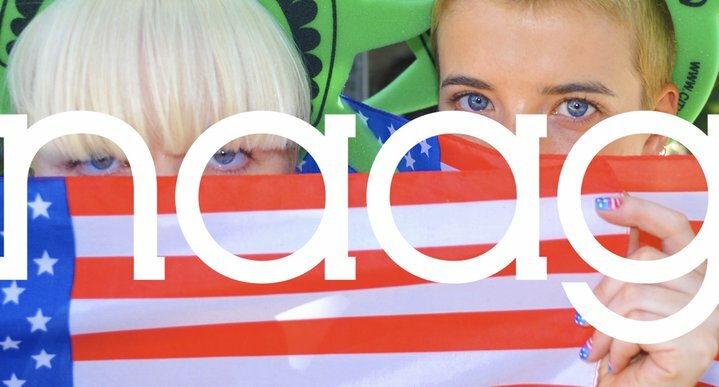 NAAG.COM are Brit model Agyness Deyn and journalist Fiona Byrne – amongst friends and contributors alike. Check out the website, it’s actually a really good read – aswell as being very informative! Additionally, Aggy and Fiona are covering the NYC Pool Parties from the AllSaints VIP Pub, roof terrace and apartment. Check out Naag.com and AllSaints.com/Pool-Parties for all the latest news, updates, photos and videos!